OK, we lied. 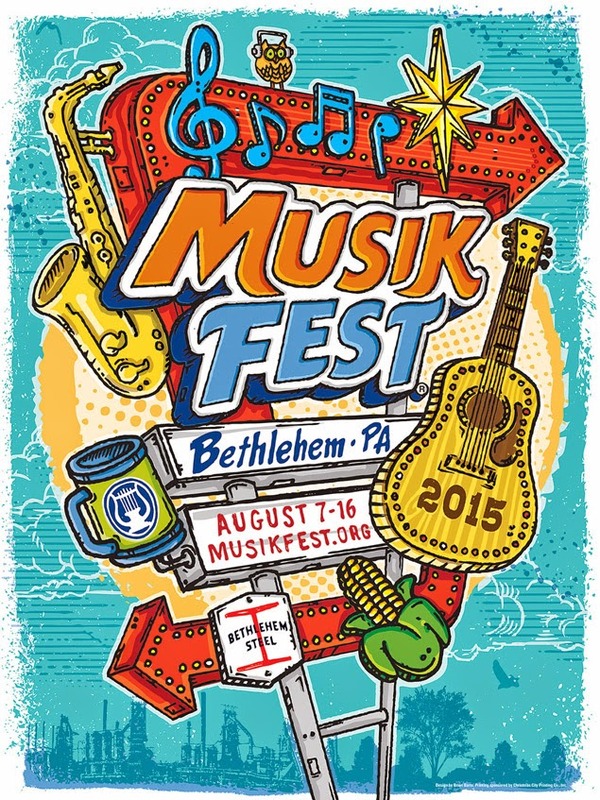 There are MORE than five concerts to check out! But with such diversity in musical tastes, we figured we'd list five venues in Pennsylvania that have multiple opportunities to enjoy some awesome bands and performances, with great food and drink close by. 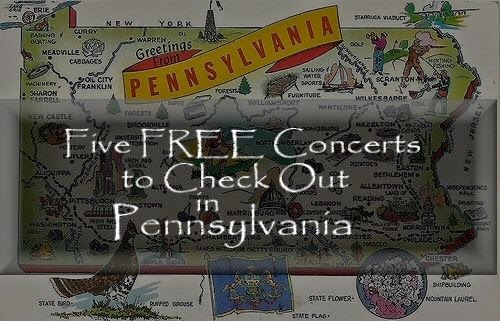 So in no particular order, here are the five places to point your RV to in Pennsylvania to catch some live tunes for your summer RoadTrip entertainment. EDIT: Thanks to Visit PA for a suggestion via Twitter added to the end of this post! We were awed on our recent visit to this town. The Arts have give a rebirth to Bethlehem, and music had played a large role in the city's "Phoenix Rising from the Ashes" story. 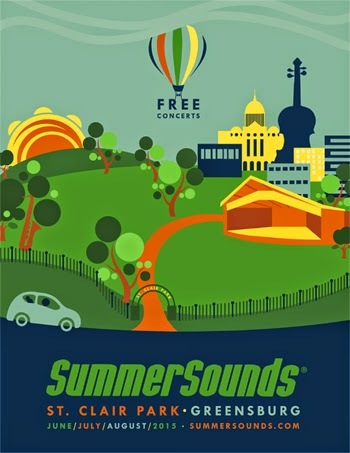 Riverjazz, Musikfest, and other events should be on your calendar, but you can count on almost each week through the summer to catch sensational sounds, and always at everyone’s favorite price ~ FREE! Check their calendar of concerts here. Philadelphia has multiple venues that offer free concerts through the summer. 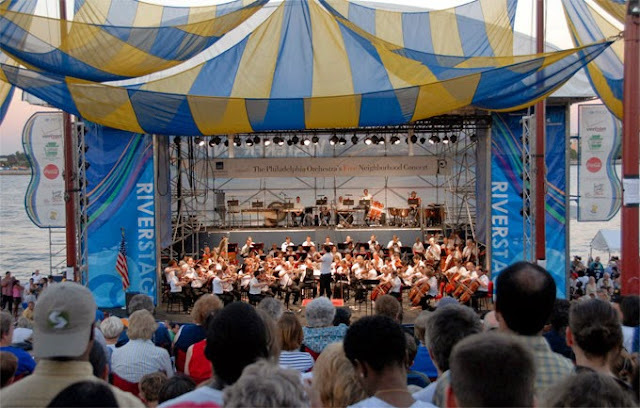 Known both as the Cradle of Independence and City of Brotherly Love, music and other performing arts can be found at Penn's Landing River Stage, nestled between the nightspots along the Delaware River. Or check out Philly's rotating Beer Garden Series happening in a different location weekly throughout the summer. For the most bang for your free dollar, visit the city during the First week in July, and take part in the city's all-encompassing Welcome America Celebration. Fireworks, food (even some free!) and music happening throughout the city - celebrating the nation's birthday in its birthplace. Though Performing Arts in the Park is not Technically free, You definitely get your moneys worth for a $5 donation per carload. We don't know for sure, but maybe it's free if you hike or bike in? Either way, enjoy a variety of not just musical performances, but Shakespeare, dance and more at the various locations administered by the Parks and Recreation Department of Berks County. 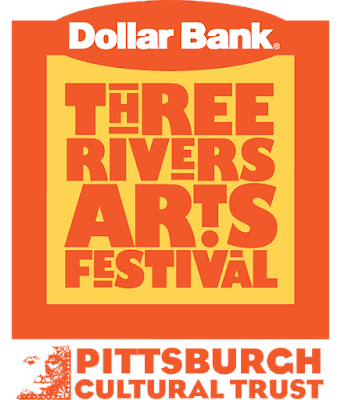 Check in here for more information on the specific venues, artist or performances happening thorough the summer. 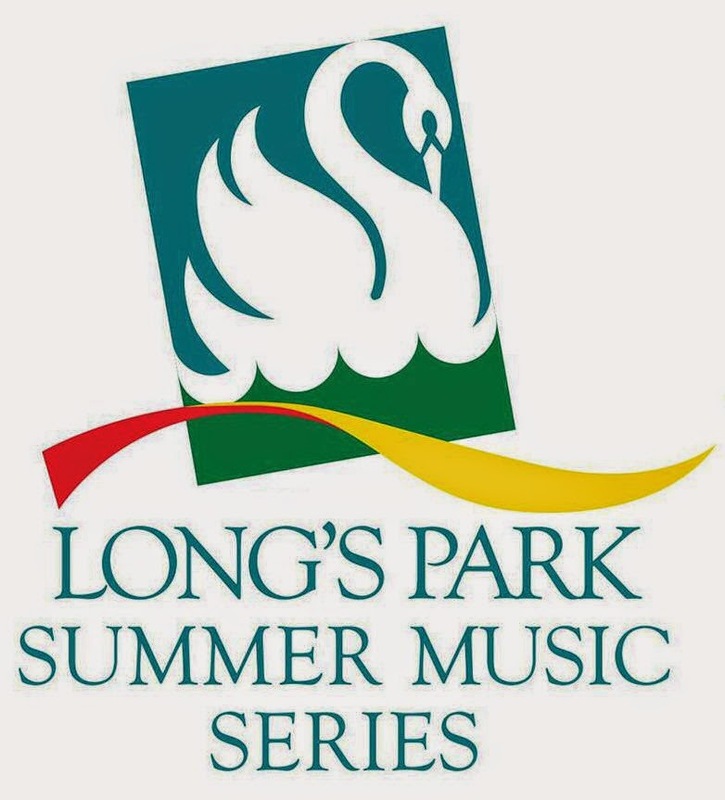 SummerSounds - Concerts in the Park emphasize high standards of contemporary musicianship in a family atmosphere. 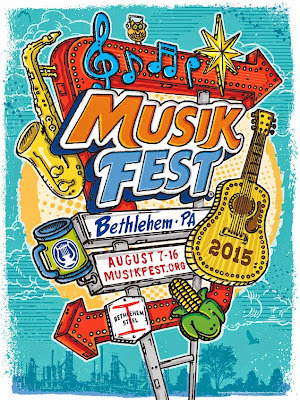 This yearly series has been called "the best outdoor music series in Western PA." Music ranges from jazz, rock, to bluegrass, with a taste of folk, new age and country thrown in. Dine at a close downtown restaurant or bring a picnic basket dinner if you wish bring a blanket of lawn chair to dine alfresco under the stars. Catch all the information here. The RoadAbode Crew think those are the best venues in Pennsylvania to catch some awesome performances in Pennsylvania, without having to dig into your wallet. Did we miss a favorite? Got something to sharer about the ones we selected? Let us know in the comments section below! As always - if you have any questions on the RVing Lifestyle, whether places to visit, equipment to have or carry, or something else we haven't thought of - let us know - we'd love to hear from you!